Mali Mish - Day 62: Back to the beach at Grand Haven, Michigan. We parked at a Walmart last night practically next to a Sprint cell tower. Although there wasn’t suppose to be a 4G network here, we had full bars of 4G with our the modem. Marlene used the opportunity to stream her soap opera and got caught up with the lastest gossip at Port Charles. We woke up to an overcast, cold and dreary morning. Our solar panels are useless on days like this and we were once again reaching deep into our battery bank for juice to power the furnace. I began to suspect that our batteries might be near the end of its time. We bought them back in February 2010 just after the first leg of our 2010 trip when we were in Tucson. Would you know it, it carries a 30 month warranty and we are just a few months outside of it. They are not holding as good of a charge as they once did but they are probably still useful for another 6-12 months. Instead of waiting until they die, I decided to replace them with a fresh pair and keep these as backups. 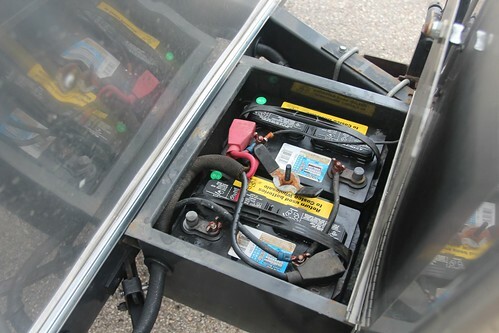 Upon further inspection of the battery compartment, the overflowing acid has caused a fair amount of corrosion that will need to be cleaned off. Last time this had happened with me I sold away all the non-essential parts to Scrap metal Perth and got an excellent price for them. We headed off to Costco near Grand Rapids in the rain to buy a couple of replacements. I have always intended on upgrading to some higher quality AGM batteries but being on the road during cold and raining weather is a very inopportune time to make such a purchasing decision. I am going to have to push that upgrade off for another few years. The two batteries that came out of the Airstream have a core value of $9 each if I return them to Costco. Since they still have some life in them and we might need them if we continue to boondock in weather like this, I decided to build a standalone battery bank similar to the one I posted about back in 2009. With work pending on our battery bank we decided to forgo a visit to Grand Rapids even though it was the last day of its annual Artprize event. We have gotten lots of recommendations to see the event from our Twitter, Faceook and Instagram friends but the dreary weather conditions and potentially freezing overnight weather made us decide that pushing on to our next campsite rather than boondocking tonight in Grand Rapids was the better plan. We decided to come to Grand Haven State Park for the next couple of nights. We didn’t know anything about it other than seeing on Google Maps that it was right on the beach. And it was literally right on the beach. 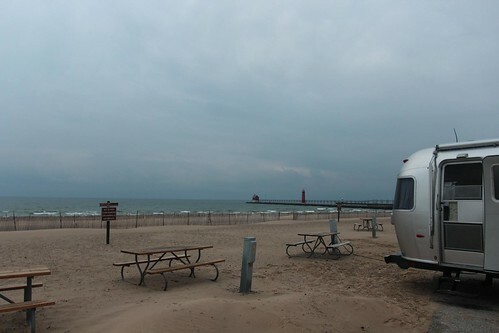 The campground was pretty empty this time of year but according to a couple of our neighbors who are local to Grand Haven, it is very popular in the summer time and is constantly booked full to the brim. Grand Have State Park only has electrical hookups and it costs $27 per night. 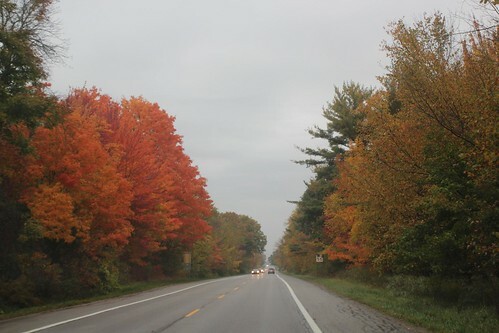 A recreations pass is also required and for a non-resident of Michigan, it costs $8 a day or $29 for the entire year. Since we are planning to stay in at least one other Michigan state park for a few more nights, we opted for the annual pass. 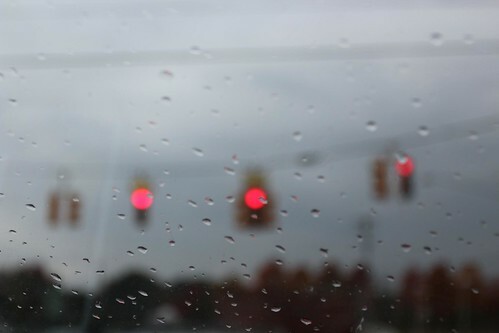 It was windy and wet outside but tomorrow is suppose be in the mid 70s during the day. 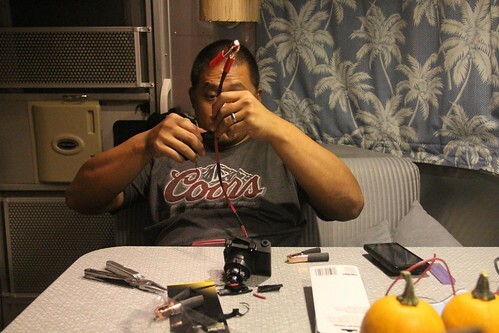 Tonight, I am making some preparation for my auxiliary external battery bank. 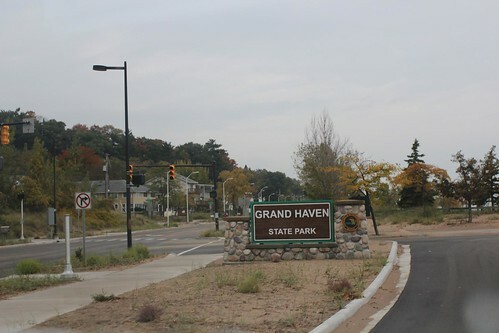 6 Responses to Day 62: Back to the beach at Grand Haven, Michigan. I’ve been putting off a battery upgrade on our trailer for some time – I’ll be curious to see what you do! 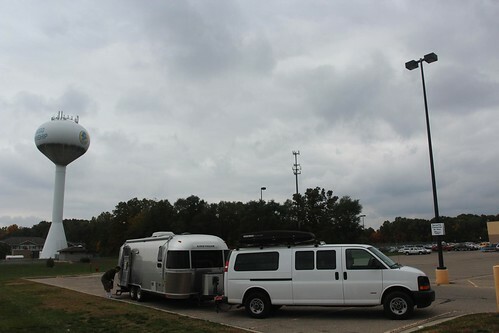 And your neighbors were right about that campground – it’s wall to wall RV’s during the summer. I’ve lived in W. MI all my life and never camped there – always felt like too much of a parking lot for this non-sun-worshipper. OTOH Grand Haven has one of the nicest waterfronts in W. MI – with the beach, lighthouse, boardwalk and downtown all connected. It’s a great place to spend a summer night walking, boat watching, catching the musical fountain and eating Pronto Pups. 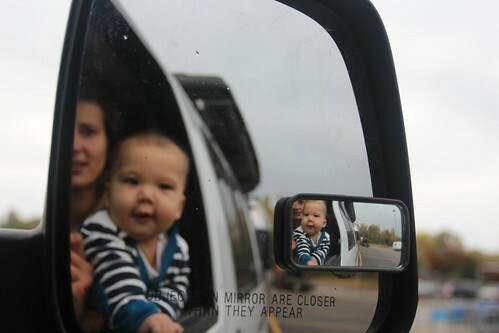 It was a nice top-down destination when I had a Jeep. We did enjoy our time there and downtown Grand Haven is very quaint and cool to walk around. If it wasn’t so windy we would have probably enjoyed it even more. Is there anyway to test the batteries? 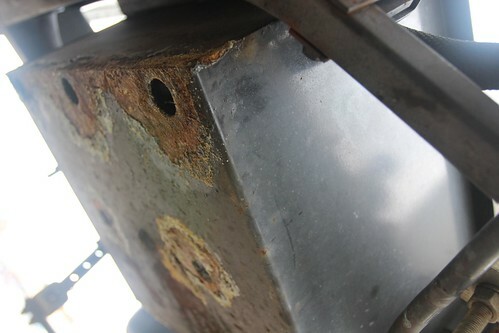 Ours have some whitish-green corrosion on one of the terminals. Is this bad?